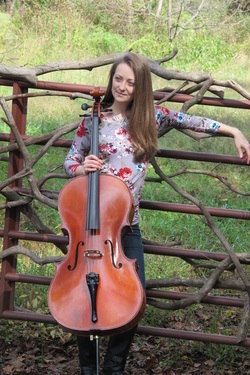 Katie has performed in orchestral settings throughout the United States and abroad. Her traveling performance career has included 3 extensive tours of China performing film music and a tour of the eastern United States with Academy Award-winning actress Shirley Jones. In Georgia, she performs regularly with many of the regional symphonies in the state including the Savannah Philharmonic Orchestra and the Columbus Symphony Orchestra. Additional appearances include Symphony Orchestra Augusta, Rome Symphony, and Valdosta Symphony. She holds core positions with the LaGrange Symphony Orchestra and Albany Symphony Orchestra, serving as assistant principal for the latter of the two. Outside of the orchestral world, she performs regularly as a contract artist for churches and music projects throughout the state.